Park Regis Singapore has appointed Roam Represents as their sales representative in Australia and New Zealand. 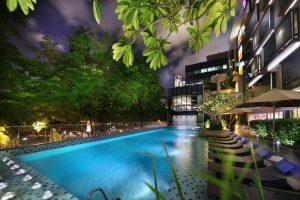 Park Regis Singapore, part of the StayWell Hospitality Group, is a modern 202 room hotel located next to Singapore’s vibrant entertainment hub, Clarke Quay while providing easy access to the Central Business District and Chinatown. Roam represents 22 hotels and resorts throughout Asia and Australia offering sales services in corporate, government, MICE, wholesale & leisure as well as web and social media marketing. Fiona Godfrey, Group Director – Global Sales & Marketing for StayWell says, “we are delighted to be working with Roam to promote Park Regis Singapore across all market segments”. Greg Parkes from Roam, says, “To be able to break into the Singapore market with such an iconic hotel as Park Regis Singapore is a fantastic opportunity and we are looking forward to working with the hotel and with StayWell Hospitality.